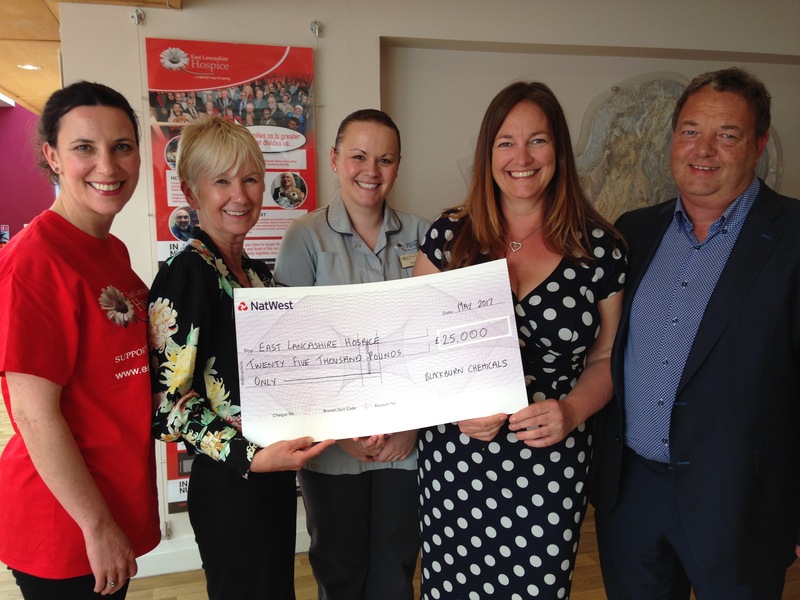 A Blackburn company has handed over a generous donation of £25,000 to East Lancashire Hospice. Steven Lamb and sister Becky Lamb attended the hospice - which covers Blackburn, Darwen, Hyndburn and the Ribble Valley - on behalf of the family run business to present the bumper cheque. Blackburn Chemicals chose the hospice as the beneficiary after a family friend, Jayne Phelps, died at the hospice. Steven, director and vice chair of Blackburn Chemicals, said: “As a company we have always supported local causes that make a difference in our community and people’s lives. We have recently created a charity committee and this is the first presentation from the committee. “We employ around 70 people and a lot of them have personal reasons for wanting to help the hospice too. So many people’s lives are affected by the work the hospice does. Steven has helped Tim Phelps, Jayne’s husband, organise a bike ride in her memory after she died from cancer last year. A 30-strong team from Blackburn Chemicals – including Steven and Becky – will be taking part, riding 53 miles to represent the age of the mother-of-two when she died. Hospice chief executive Lyn Stevenson, thanked the company for their donation.